The Optimus Green sound level meter is available as either Class 1 or Class 2 - the most common for environmental noise measurement and more accurate being Class 1. This meter has everything needed for a noise at work assessment too, including octave band filters for detailed analysis and hearing protector selection. For noise at work Class 2 is adequate. 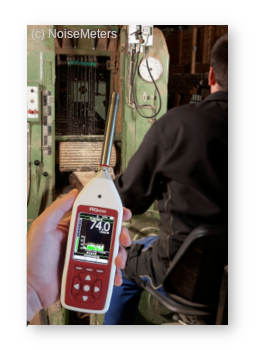 For occupational and factory noise assessments, most regulations state that the lower cost Class 2 meter is adequate. For measurement of both environmental and occupational noise we recommend the Class 1 option, as it is more than adequate for noise at work but also meets the higher demands of environmental use. The Class 1 microphone also has a lower noise floor, making it more suitable for measuring the typlically lower sound levels associated with outdoor measurements. For these reasons we recommend the CK171A Noise Measurement Kit, which includes a Calibrator as required by most regulations. 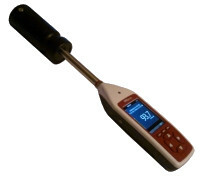 The Optimus Sound Level Meter measures all the parameters that are needed for an occupational noise survey. What's more, it measures them all at the same time, so there is no need to work out which measurements you need before starting. This model has the functions needed for most environmental and noise at work surveys, so there are very few options to choose from. A Class 1 sound level meter is a little more accurate than a Class 2 model. It is also more expensive. Most environmental noise regulations demand Class 1 meter, whereas most noise at work regulations state that Class 1 is adequate. To be safe when measuring both environmental noise and occupational noise we recommend Class 1. 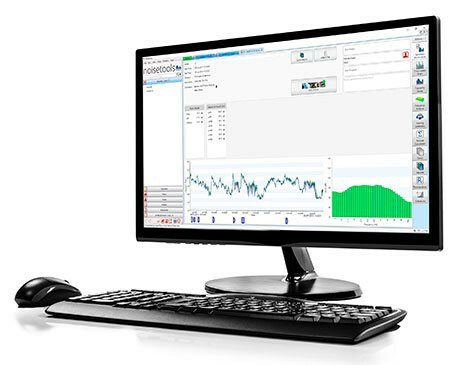 The Noise Measurement Kits, order codes beginning CK..., include a sound level meter, calibrator of the correct class, software, carrying case and download cable. As a calibrator is generally needed the Noise Measurement Kit is the most common way to buy the Optimus Green.